Derick Walsh knows what it’s like to persevere and not give up. The 22-year-old Fishers graduate is nearing mile 1,600 of the Appalachian Trail in Massachusetts. He started May 8 in Georgia and will finish the trek in approximately a month. The entire trail is 2,189 miles. Walsh is hiking for mental health awareness working to raise $11,000 for the Peyton Riekhof Foundation for Youth Hope in Fishers. Peyton committed suicide in 2013. The foundation works to educate the community and schools on youth and teen mental health issues and suicide prevention. 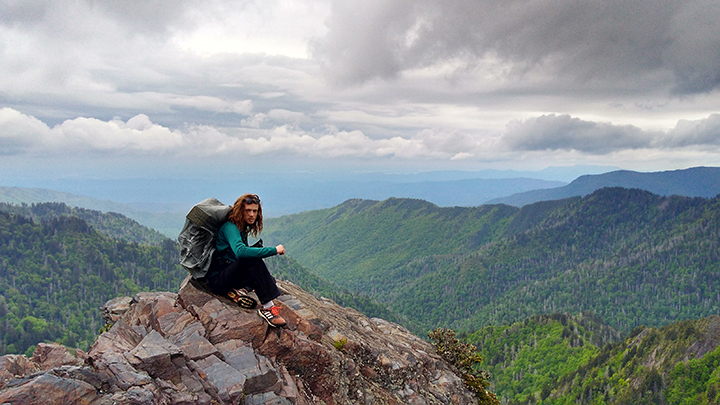 Walsh said it was a lifelong dream to hike the Appalachian Trail. He’s attempted the feat once before. The first time, he stopped after about 500 miles. This time, he’s motivated to finish. Walsh said he’s experienced mental health difficulties firsthand. He connects the perseverance of combating mental health to hiking. Walsh traveled alone the first half of the hike. In North Carolina, he met up with two men traveling in the same direction and has hiked with them since. After his first attempt to hike the trail, Walsh began training. His regimen included running 10 miles a day. He hikes on average 20 miles a day. His longest day so far is 35 miles. Hamilton Southeastern Schools Mental Health Coordinator Brooke Lawson stressed the importance of the involvement of the Peyton Riekhof Foundation for Youth Hope in the school system. So far, Walsh has raised $1,700 for the foundation. Its biggest expense this year is for student support groups at Fishers and Hamilton Southeastern high schools. To donate, visit gofundme.com/athike17. What’s next: When he returns from the Appalachian Trail, Walsh said he isn’t sure what he’ll do next, but he might return to college. He was enrolled briefly at IUPUI studying computer information technology.